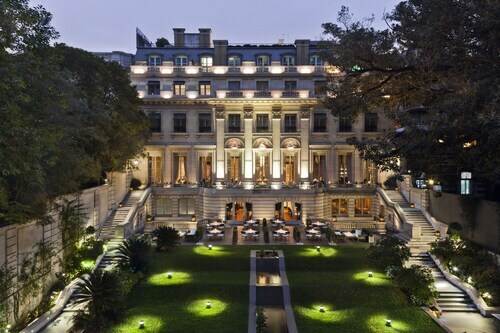 Expedia can help you save with a Buenos Aires travel package. 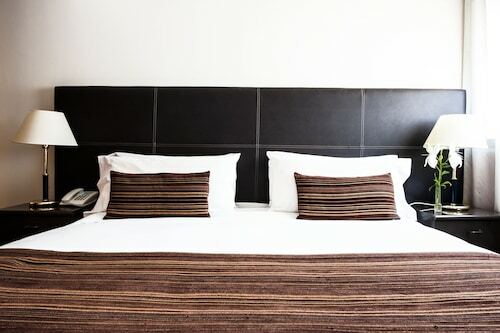 With all that extra cash in the bank, you might even like to book a few more nights. When you secure a package deal on Expedia, you can save as much as 15%*. We've got more than 400 partner airlines and 321,000 worldwide properties to pick from around the globe, which means your dream holiday is just a few clicks away! 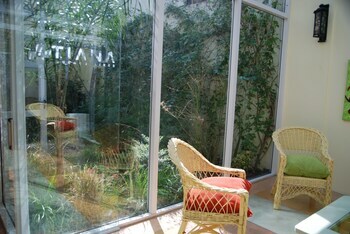 Preparing for your trip to Buenos Aires? After some recommendations about what to see when you're there? That's where we can assist! With so many renowned attractions in the one place, you'll never have a dull moment in Buenos Aires! First things first, make sure you get some selfies out the front of Teatro Colon and Casa Rosada. After you've ticked those off the bucket list, you'll still have the Obelisco and Plaza de Mayo to check out! You'll never have to worry about being bored in this alluring city. The Cabildo and Argentine National Congress will be sure to keep you entertained. Plaza San Martin and Buenos Aires Metropolitan Cathedral are some more fabulous attractions that'll capture your imagination. Throughout the years, man has built sky-high structures for both practical and symbolic reasons. Come and discover the history behind Torre de los Ingleses — it's easy to find! Travellers in this destination have an abundance of choice. Our modern world has been indelibly marred by war. Visit Presidente Sarmiento Frigate Ship Museum to gain a better understanding of the great military conflicts of the past. Still got some time on your hands? Whether you're a professional landscaper or you're just fond of pottering about in the soil, you can't beat Japanese Garden for horticultural inspiration. This private paradise is just alive with brilliant blooms and unique design ideas. A holiday is a wonderful time to stop, rest and relax. It's also the perfect time to throw yourself into new experiences! Head to our Buenos Aires things to do page for a complete list. 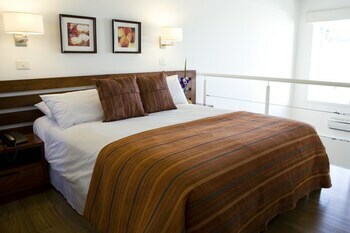 Get a running start on your Buenos Aires travel itinerary by securing a place to sleep. 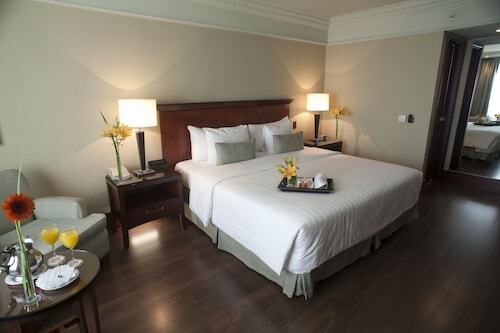 There are 427 accommodations in the national capital that can be booked on Expedia. We've got cheap holidays and luxury getaways for all kinds of travellers. If you enjoy living the high life every so often, why not indulge yourself at the Four Seasons Hotel Buenos Aires (Posadas 1086/88) or the Palacio Duhau - Park Hyatt Buenos Aires (Av. Alvear 1661)? Alternatively, the Maitre Hotel Boutique (Arce 385) and the Pampa Hostel (Iberá 2858) are a couple of accommodations worth checking out if you're after a bargain. 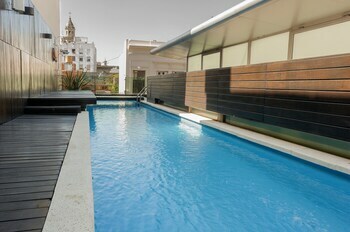 Another good option is to stay within walking distance of Teatro Colon. 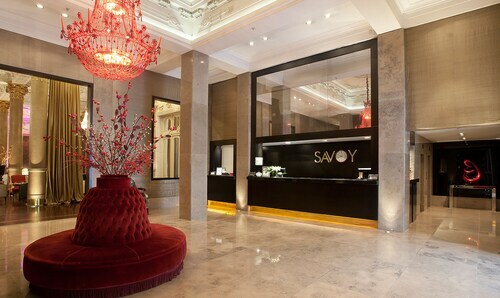 You can make this happen by booking in at the Alvear Art Hotel , which is just 0.4 miles (0.6 km) away. 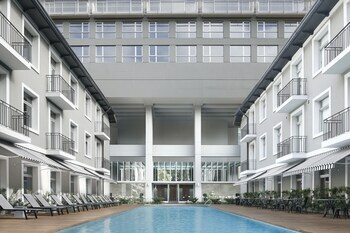 Equally in demand is the Hotel Avenida, 0.7 miles (1.1 km) away. 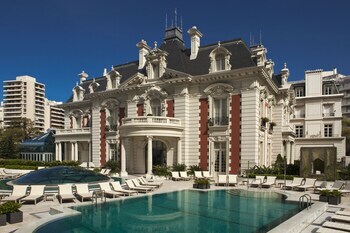 Ministro Pistarini International Airport (EZE) is situated 16 miles (26 km) southwest of the heart of Buenos Aires. Pick up your luggage, wave down a taxi and let the holiday begin! This giant pillar was built to mark the 400th anniversary of the city’s inception. Now, it stands as the most famous icon in Buenos Aires. Relax in a park with a preserved lawn, trees, statues, a war memorial and a tower in the center of the city. Wander the grounds of one of Buenos Aires’ largest university campuses and visit the institution’s museums, galleries and urban parks. The stadium of the illustrious soccer team, Boca Juniors, is renowned for its superb atmosphere. It is uniquely shaped like a box of chocolates. Tour the vaults, mausoleums and crypts of a vast cemetery where hundreds of thousands are interred. Former presidents and a legendary tango performer rest here. Expand your knowledge of modern and contemporary Latin American art through collections covering more than 100 years of creativity. 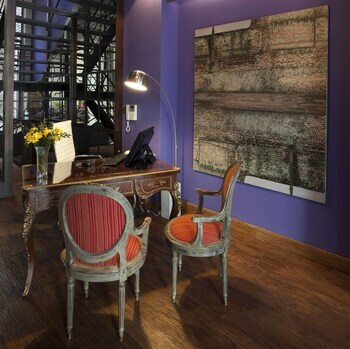 Marvel at a tower building inspired by the poem Divine Comedy and enjoy unrivaled aerial views of Buenos Aires’ cityscape. Take a tranquil stroll around this portal to Japan. The impressive replica of spiritual Zen gardens features lakes, bridges and elegant floral displays. Visit this free museum with an impressive collection of European and Argentine art featuring some of the biggest names to ever pick up a paintbrush. Walk through the brightly colored buildings in this replica of a 19th-century Buenos Aires port to learn about its rich Italian history. This animal park has been a part of Buenos Aires since 1888. Today it offers a modern zoo experience focusing on conservation. This city cemetery contains the graves of some of Argentina’s most notable politicians and public figures, including Eva Perón. Visit this grand cathedral to admire a range of architectural styles, see the tombs of Argentine heroes and enjoy free live music events. A visit to this beautiful building provides an insight into the nation’s political life and a look at an architectural masterpiece. See artifacts from Argentina´s May Revolution, browse the stands of an artisan market and admire the colonial architecture of this significant building, Buenos Aires’ first city hall. Admire the pink façade of one of Argentina’s most recognizable buildings, take a tour of its halls and galleries and visit a museum displaying political artifacts. Spot historical architecture, witness celebrations and demonstrations, watch interesting people and enjoy free music events at Buenos Aires’ most important square. Visit one of the world’s finest theaters to watch operas, ballets and concerts or take a guided tour of the salons and auditorium. This unique bridge is a symbol of Buenos Aires’ Puerto Madero neighborhood and is a great setting for photography and sunsets. Set in the heart of the Palermo neighborhood, this picturesque garden is home to many rare plant species, noteworthy 19th-century architecture and rotating art exhibits. Soak up the elegance of Buenos Aires’ oldest café: a meeting place of literati, a treasure-trove of art and the host of live tango shows. Discover outstanding shopping, exquisite dining and energetic nightlife in the trendiest and largest neighbourhood in Buenos Aires. Enjoy the tranquility of a pastoral retreat, a public rose garden and park with fountains, manicured lawns and a freshwater lake. The city’s most famous street features a vast array of shops, vendors and artisans without the hassle of traffic. Learn about the private and political life of former First Lady Evita Perón at this tribute to her accomplishments, influence and legacy. Below the apartments, offices and shops of this art nouveau galleria is a famous basement theater where nightly tango performances have delighted crowds since 1915. 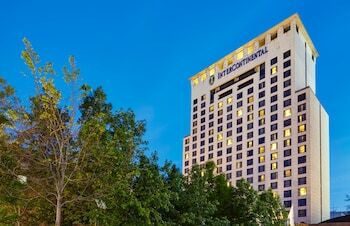 Located in El Centro, this hotel is within 1 mi (2 km) of Argentine National Congress, Obelisco and Teatro Colon. Florida Street and Buenos Aires Metropolitan Cathedral are also within 1 mi (2 km). Congress Station and Callao Station are within a 5-minute walk. 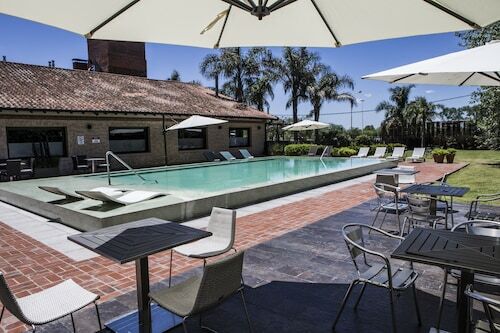 Situated near the airport, this spa hotel is within 9 miles (15 km) of Feria de Mataderos, Pedro Bidegain Stadium and Campanopolis - Aldea medieval. Palermo Soho and Estadio Velez Sarsfield are also within 12 miles (20 km). 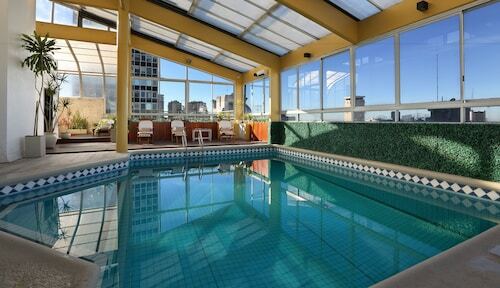 Located in Puerto Madero, this aparthotel is within a 15-minute walk of Plaza Dorrego, Presidente Sarmiento Frigate Ship Museum and Women's Bridge. Casa Rosada and Centro Cultural Kirchner are also within 1 mi (2 km). Buenos Aires Independencia Station is only a 2-minute walk and Buenos Aires Belgrano Station is 10 minutes. 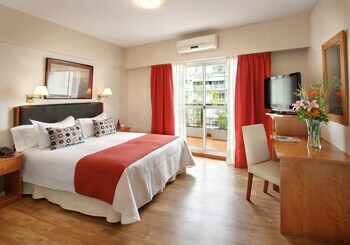 Located in Palermo, this hotel is within 1 mile (2 km) of Palermo Woods, Palermo Soho and Japanese Garden. Alto Palermo Shopping Center is 1.4 mi (2.2 km) away. Palermo Station is 6 minutes by foot and Plaza Italia Station is 9 minutes. 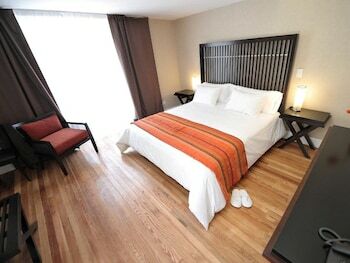 Located in Retiro, this hotel is within a 5-minute walk of Santa Fe Avenue and Florida Street. Teatro Colon and Obelisco are also within 15 minutes. San Martin Station is only a 3-minute walk and Lavalle Station is 10 minutes. 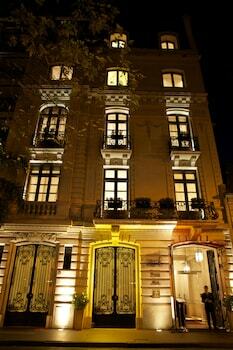 Located in Recoleta, this luxury hotel is within 1 mile (2 km) of Alvear Art Gallery, Teatro Colon and Obelisco. Plaza San Martin and Florida Street are also within 1 mile (2 km). San Martin Station is 16 minutes by foot and Callao Station (Cordoba Av) is 20 minutes.